North Korea launched a long-range rocket Wednesday morning despite international opposition and growing tensions in the region. UN has condemned the successful launch in a statement. 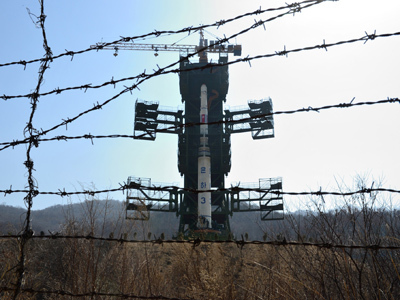 Pyongyang claimed the Unha-3 rocket successfully delivered a scientific satellite Kwangmyongsong-3 into orbit. The UN Security Council has condemned North Korea’s rocket launch in a short statement following an emergency meeting, saying that “an appropriate response” is now being considered. 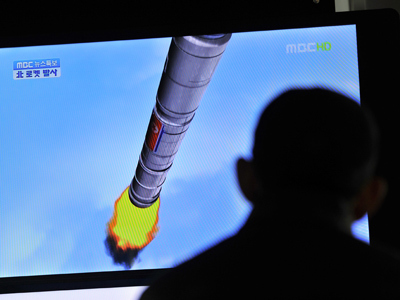 North Korea will face “consequences” for the launch, a US spokesman warned. The White House called the rocket launch a “highly provocative act that threatens regional security” earlier this Wednesday. Seoul has strongly condemned the launch as a violation of UN resolutions, with the South Korean president calling for an emergency meeting over the issue. The launch was confirmed by officials at the South Korean Defense Ministry and its Joint Chiefs of Staff. 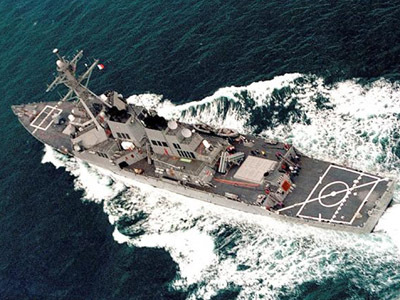 "Shortly after liftoff, the Aegis radar system in the Yellow Sea detected the move," a senior South Korean military official said, Yonhap news agency reports. North Korea said the Unha-3 rocket delivered the satellite into orbit as planned. "The second version of satellite Kwangmyongsong-3 successfully lifted off from the Sohae Space Center by carrier rocket Unha-3 on Wednesday," the official Korean Central News Agency said. "The satellite entered its preset orbit." The North American Aerospace Defense Command (NORAD) reported that the North Korean missile deployed an object that appeared to achieve orbit, which would fall in line with Pyongyang’s claims about the nature of the launch. However critics believe this could be a ballistic missile test, which the UN has banned North Korea from conducting. The debris of the rocket fell into waters off the Philippines at 10:05 a.m. local time after passing over Okinawa, the Japanese government said, according to Yonhap. 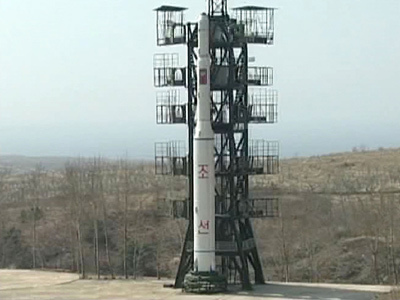 An official in Seoul told the news agency that the first stage of the North Korean rocket fell in the Yellow Sea. The launch is the means for North Korea to prove they’re not lagging behind in terms of technology, Eric Sirotkin, lawyer and peacemaker, told RT. A Japanese government spokesman protested the launch but urged the Japanese people to go on with their lives as normal. 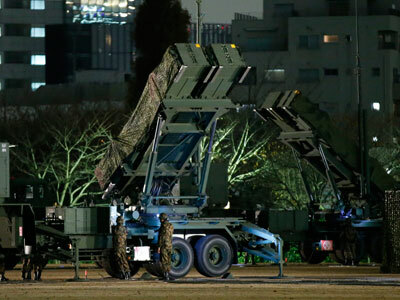 Japan did not activate its PAC-3 missile defense system in response. Hours after the launch, Chinese state media urged an early resumption of the six-nation talks aimed at resolving the conflict over North Korea's nuclear program. UN Secretary-General Ban Ki-moon "deplores the rocket launch," his spokesman Martin Nesirky said in a statement. Russia’s Foreign Ministry has voiced “deep regret” over the missile launch, saying that North Korea’s move will “have a negative impact” on the geopolitical situation in the region. The move comes as a surprise as Pyongyang announced Monday it was extending its launch period for the rocket test by one week to Dec. 29. Earlier, the US Navy had sent two additional warships to North Korea to track and prepare for a possible North Korean rocket launch, bringing the total number of warships surrounding the Communist state to four. The United States and the United Nations have expressed concern that North Korea may be testing its missile technology to see if it could be used to eventually strike the US. This is Pyongyang’s second attempt at such a launch this year. The South Korean government estimates that Pyongyang spent some $1.3 billion over the year to conduct the two tests. “I am afraid that the United States is going to step back, talk less, isolate more… And it is really necessary that we not overreact to this launching of a satellite, but that we say this is a cause and a reason to sit down finally and put an end to this war,” lawyer and peacemaker Sirotkin pointed out.